Grant was the top commander for the Union side at the end of the Civil War and became the 18th president after Andrew Johnson’s disastrous term. Recently, Grant’s eight years in office have been re-evaluated after receiving poor marks for decades from many historians. Scandal in the Grant administration and the battle over Reconstruction led historians to rank him as one of the three worst presidents. But in six recent surveys, Grant escaped the bottom tier in presidential rankings. Here’s a quick list of 10 interesting Grant facts that put his career in perspective. 1. Ulysses wasn’t his real first name. 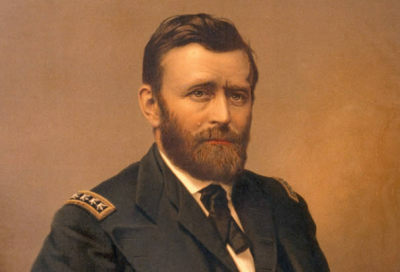 Hiram Ulysses Grant was stuck with the name Ulysses S. Grant due to a mistake by a benefactor on his application form to West Point. And as with President Harry S. Truman, the middle initial “S” doesn’t stand for anything. But having the name “U.S.” Grant gained Hiram the nickname “Sam”–as in Uncle Sam–among soldiers. 2. Grant was an average student at West Point. Grant wasn’t great at academics and avoided church services, but he was a skilled horseman. His future battlefield foe, Robert E. Lee, was one of West Point’s greatest students and later its commandant. 3. Grant and Lee served in the army during the Mexican War. Lee was the chief of staff for General Winfield Scott while Grant served under General Zachary Scott. Both men received high marks from their superiors. 4. Grant and Lee actually met twice at the end of the Civil War. After their famous meeting at Appomattox Courthouse on April 9, 1865, Grant rode out to the Confederate Army the next day, accompanied by a few men, to seek out Lee. 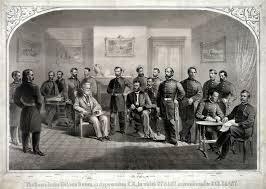 The men discussed military matters, and Grant asked Lee to ask all the Confederate armies to lay down their arms. Lee deferred, saying that was a matter for President Lincoln to address. 5. Grant wasn’t a fan of President Andrew Johnson. 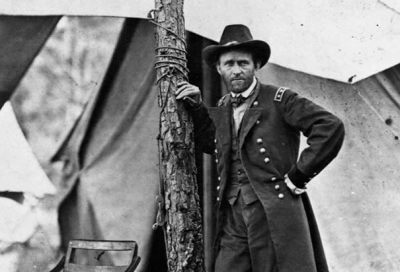 As a general, Grant was close to President Lincoln. But when Johnson, a former Democrat, became president after Lincoln’s death, the two men eventually became opponents. While Grant was a former Democrat himself, he became aligned with the Radical Republicans. 6. Grant was the youngest president elected at the time. The former general was 46 years old and never held elected office when he took office in 1869. His inexperience would be a factor in a tumultuous eight-year term in the midst of Reconstruction. 7. Grant tried to annex the Dominican Republic to the U.S. The president wanted the Dominican Republic in the Union for several reasons: as a military base, as a sanctuary for freed slaves, and as a market for U.S. goods. The treaty was approved by the Dominicans but stalled in the Senate. Grant’s fight with Senator Charles Sumner divided the Republican party. 8. Grant’s two terms in office had lots of dramas. 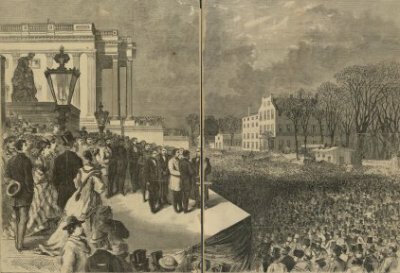 As president, Grant’s terms in office were a roller coaster. 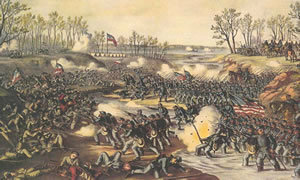 In addition to the fight over the Dominican Republic, Grant had to grapple with corruption, numerous scandals within his own administration, an economic disaster (the Panic of 1873), the 15th Amendment, Reconstruction, the Ku Klux Klan, and the threat of war with Great Britain and Spain. 9. Grant was a gifted writer. After leaving the presidency, Grant became ill and was financially destitute. His memoirs, written as he was dying from throat cancer, show a clear, concise style, and his autobiography is considered among the best, if not the best, written by a president.